As regional Indian cuisine is steadily gaining popularity and coming out of home kitchens to fancy five-star restaurants it’s time to celebrate one of its pioneering restaurants. Although Chor Bizarre has been hugely famous for introducing Kashmiri cuisine in the capital, the restaurant housed in Hotel Broadway at Asaf Ali Road has served an array of regional Indian food for twenty-five years. Coinciding with this milestone is yet another reason to rejoice - the opening of the second Chor Bizarre in the heart of New Delhi. Top L-R: Seekh Kebab, Tabak Maaz, Gazab ka Tikka; Galouti Kebab. 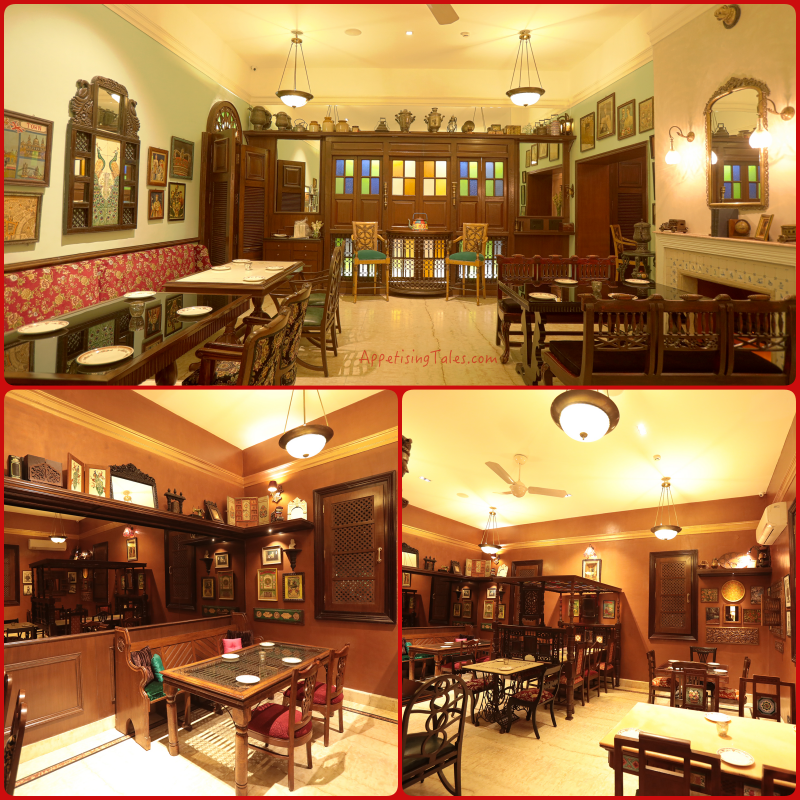 The beautiful environ of Bikaner House located at the India Gate round-about complements the delicious pan-Indian fare as well as the eclectic décor. The restaurant is split into two dining areas - one has a colonial appeal while the other is inspired by different regions of India, including a Kashmiri corner complete with walnut wood carved panel, papier-mâché work and portraits of Kashmiri people. The thread that gels the entire look together is that nothing matches. Much like one is likely to find at a ‘chor bazaar’ or thieves’ market there is a range of qwirky and antique furniture. A four-poster bed and a wrought iron door have been used as decorative tabletops. Mismatched crockery and cutlery is part of the design. The bric-à-brac includes miniature dressing table sets, old radio systems, paintings from different parts of India and even old lunchbox sets. Yet everything is put together very aesthetically, lending a charm that is unique to Chor Bizarre. 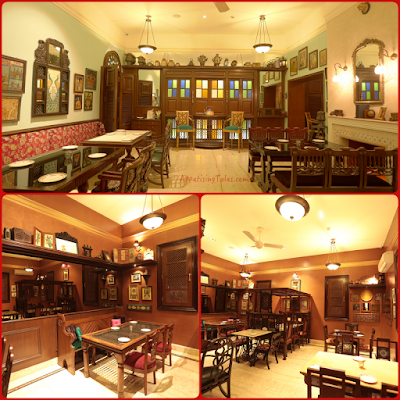 The eclectic decor offers a mix of Imperial inclinations and regional Indian. 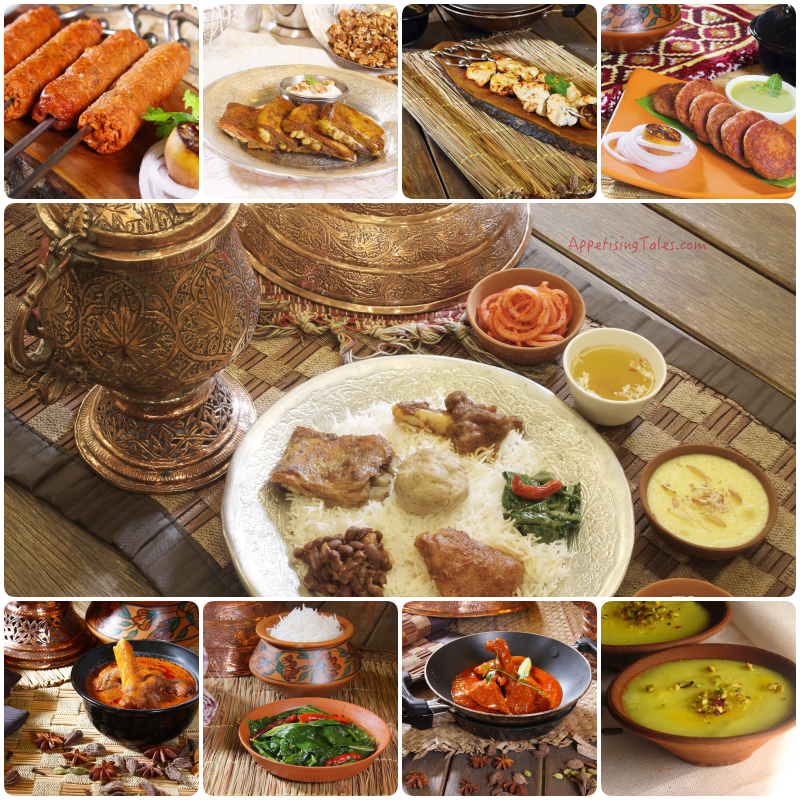 With recipes collected from different parts of the country the menu features a large repertoire of vegetarian dishes and chaats besides the famous Kashmiri tarami as well as choice of a la carte Waza dishes as well as Kashmiri Pandit cuisine. You may start with chaats such as dahi batata puri, crispy palak patta chaat or keep it simple with a papad platter served with two dips and kachumber salad. From the new additions vegetarians have appetizing options such as kurkuri makkai, gobhi koliwada or dahi chironji ke kabab while non-vegetarians can tuck into chargrilled nimbu ka jheenga or fried prawn koliwada. Murgi Se Pehle has been reintroduced in this menu after many years and is essentially char grilled eggs with cheese. Gosht Ka Soola, or tender chunks of lamb marinated in red chilli paste and hot spices have been added in keeping with the Rajasthani affiliation of Bikaner House. While the mains include the ubiquitous butter chicken, nihari gosht and dum ka murgh korma, three types of dals and various paneer and vegetable dishes the Kashmiri fare continues to shine on. The tarami, that is popular even with Kashmiri clientele, is served in a traditional platter covered with a copper lid and is accompanied with mooli akhrot chutney, tamatar mirch and laal pyaaz. The platter itself includes seekh kabab, tabak maaz, goshtaba, chicken roganjosh, aloo bukhara korma, nadru yakhni, haaq, nadru choorma and vegetarians are also well taken care of with offerings including tamatar chaaman, dum aloo, gobhi roganjosh, nadru yakhni, haaq, rajmah, nadroo choorma. The meal is then rounded off with Kashmiri phirni and kahwa. The new restaurant is managed by old hands including Pratik Sinha, general manager, Hotel Broadway, who has been with the company for over 24 years, while the kitchens are headed by corporate chef, Rajiv Malhotra. While their experience ensures consistency of flavours and service, they have researched extensively to add new dishes to complement and enhance the original menu. The team will also cater for the banquet spaces of Bikaner House that are available for private events. Chor Bizarre, Bikaner House, Pandara Road, New Delhi. This article first appeared on indiatoday.intoday.in on January 2, 2017. It has been modified by the author to fit the requirements of AppetisingTales.com.